What is the Amazon Smile Program? 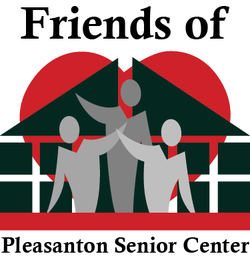 Friends of Pleasanton Senior Center is a Section 501(c)(3) nonprofit organization committed to raising funds for the Pleasanton Senior Center. Friends of Pleasanton Senior Center work in cooperation with Senior Center staff as they integrate their vision to expand and enhance Senior Center programs and services. Friends of Pleasanton Senior Center form partnerships by recruiting volunteers and soliciting donations from individuals and business. Donations to Friends of Pleasanton Senior Center are tax deductible to the extent provided by law and will be used to purchase recreational equipment, program supplies and capital items such as a new Fitness Center on the grounds of the Pleasanton Senior Center.